Now Motorists will pay more for a litre of petrol at the pumps from Wednesday (6 March), thanks to an increase in the international petroleum price, and a weaker local currency. The Department of Energy noted that the rand appreciated, on average, against the US dollar (from R13.94 to R13.80) during the period under review. 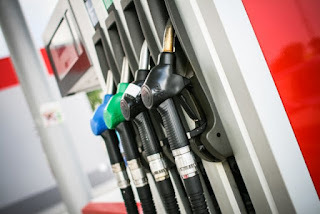 “This lowered the contribution to the Basic Fuel Prices of petrol, diesel and illuminating paraffin by 7.50 c/litre, 8.84 c/litre and 8.78 c/litre respectively,” it said. The average Brent Crude oil price meanwhile, increased from $60 to $64 per barrel during the period under review. The international prices of all the petroleum products increased on average during the period under review, it said. “As had been predicted last year, OPEC is determined to support higher crude oil prices by reducing production. They are achieving their objective due to the support by other non-OPEC producers,” the department said. These price hikes come as toll fees across the country increase on Friday (1 March) while additional increases to the General Fuel and Road Accident Fund levies will apply in April. An additional tax to the fuel price – the Carbon Tax – will come into force in June when an additional nine cents will be added to the price of petrol and an additional ten cents will be added to the price of diesel. By the end of the hikes, SA motorists will be paying R5.63 and R5.49 in taxes per litre for petrol and diesel, respectively. On a vehicle with a 50-litre tank, drivers will be paying between R274.50 (diesel) and R281.50 (petrol) in tax, every time they fill up. Now let's hear from you, Concerning this article.